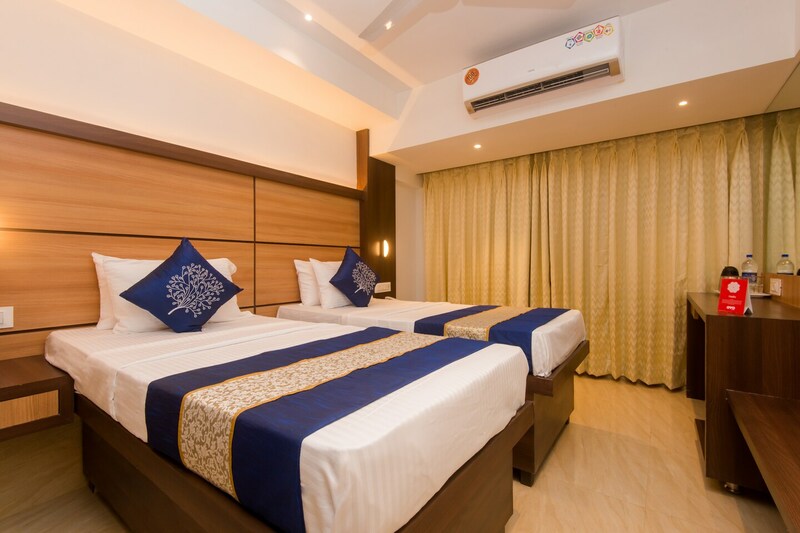 Hotel Mourya Residency is a sophisticatedly decorated hotel with a warm and relaxing ambience. The bedrooms at the hotel have light colored walls, heavy woof furnishings and soft glowing overhead lights that give the rooms a warm and cozy ambience. The rooms also have large windows overlooking the busy streets of the city and the infinite sky. The hotel provides its guests with free Wi-Fi so that they can stay connected with the rest of the social world. Other amenities offered by the hotel are a geyser, CCTV cameras, laundry facility and a card payment option. A lot of multi-cuisine restaurants are available in the proximity of hotel for the guests who love to binge on delicious delicacies.